The Hospice Palliative Care Society of Cape Breton County is a vital community healthcare partner. Your donations help patients live well. Your donations give the gift of time to families, so they can focus all of their love and attention to their loved ones as they face a life-limiting illness. Through donor support, our Society provides comfort and care to patients and their families. Whether providing a warm cup of tea to a worried daughter or soothing a patient’s mind through music therapy, your donations are felt by every patient and family member who relies on the palliative care service. An Cala Palliative Care Unit	The An Cala Palliative Care Unit opened in 2008. It is a nine-bed acute care unit located on the fourth floor of the Cape Breton Regional Hospital. Palliative Care in Community	When patients are receiving palliative care at home, they may require additional equipment to treat or support their circumstances and maintain a quality of life that is comfortable for them or eases the challenges for their families. Financial Assistance	It’s an unfortunate reality, but medical costs can cause added stress when you or a loved one are faced with an illness. Through your donations, our Society provides financial assistance to alleviate some of the financial burden that comes with caring for a loved one at home. 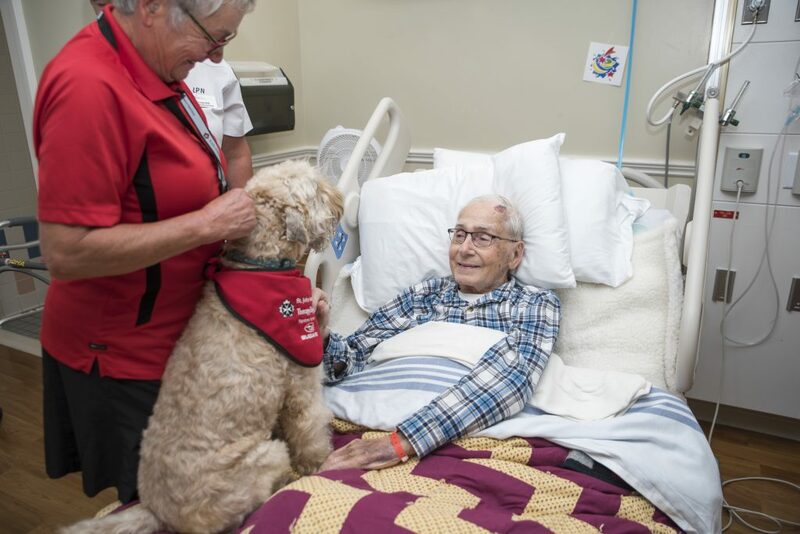 Volunteer Program	Through our donors, our Society provides the resources necessary to train palliative care volunteers who then give their time to patients currently in hospital and in long-term care facilities throughout Sydney, North Sydney and Glace Bay. Music Therapy	Music therapy is an effective and joyful way to support patients and their families. Our music therapist, Jill, says patients’ families often end up singing along during the sessions. Flower Program	Every Thursday morning a small group of dedicated volunteers gather in the An Cala Board Room at the Cape Breton Regional Hospital to create lovely flower arrangements for all patients in the palliative care service. Education	Ongoing education is critical to ensuring the best care for our patients. Through our donors, our Society funds education for palliative care staff, volunteers and board members. Bereavement Program	The Bereavement Program is available to families and friends of palliative care patients as a support service following the death of a loved one.